He's furry, fat and fantastic. He also makes a lot of poops. 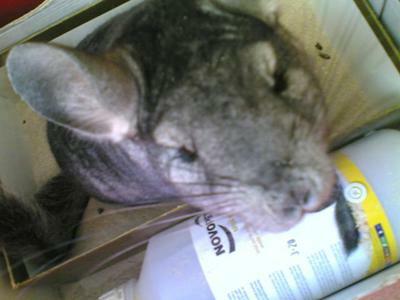 But anyways, its the freakest chinchilla i've ever known. I called him Cheshire because sometimes he sits in the same position as Cheshire Cat from Alice in Wonderland. He's like no chinchilla I've ever seen!